Behavioral issues in dogs can range from quirky things, like a pup that incessantly barks at the hair dryer – to more serious behavioral concerns, such as a dog that reacts aggressively when their owner picks up a broom. While the specific cases can seem very different, they are actually surprisingly similar: they are the result of poor object socialization during puppyhood. Our clients reach out to us at Sarasota Dog Wizard for help fixing these types of behavioral problems frequently. Extensive, focused training by a professional dog trainer can certainly help to reduce a dog’s anxiety and eliminate the undesired reactions from such stimuli; however, it is best to stop the problem before it starts. Early object socialization will prevent the instillment of these types of fear-based responses. From three weeks until about six months of age, puppies are in their most receptive training phase. This is the prime time for bonding with other animals and people, and also the period in their lives when they learn which stimuli in their environments are safe and can be trusted. It is very important that the dog receives adequate training, introduction to new stimuli, and positive reinforcement during this sensitive period in their development. 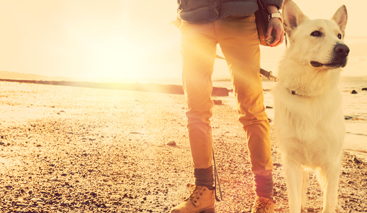 This can be as simple as introducing the puppy to everyday objects and familiarizing them with things they will be exposed to throughout their life. Puppies that do not receive adequate object socialization tend to develop fear and anxiety and can end up developing undesired fear-based reactions. 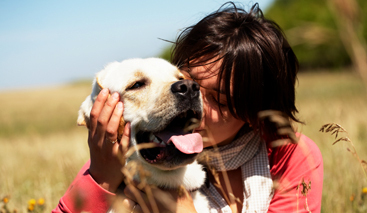 The best thing that a loving pet owner can do for their dog is to start training them right away. 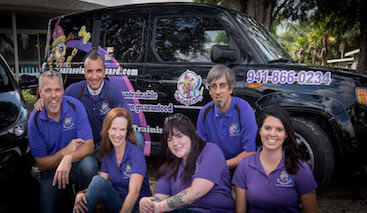 The puppy programs at Sarasota Dog Wizard introduce your puppy to everyday household objects such as a vacuum cleaner and less common ones such as a crutches. It is important to realize that training a puppy is much more than teaching them basic commands; some of the most valuable training is effective object socialization, which will ensure your puppy becomes a happy and confident pet in all environments.